The NTN SNR EUROPE SERVICE range helps you improve your maintenance costs. NTN SNR EUROPE is committed to improving the skills of your teams. Simple tools to choose your products and advice on their use. Innovative application for smartphones and tablets to get access to technical information, assembly videos, photos and 3D parts. An indispensable app for repairers and distributors alike! NTN SNR EUROPE is mounted on all engines in new generation aircraft. The INNOVATION teams at NTN SNR EUROPE is driven by your demands and take actions to create new products or services to solve your issues. More than 1,000 people have joined NTN SNR EUROPE in the last 5 years. Why not you? NTN SNR EUROPE promotes the development of skills and career paths. Job mobility within the group is appreciated by everyone. 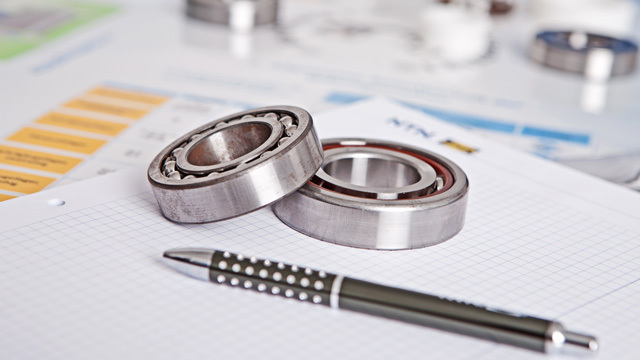 NTN SNR EUROPE designs, develops, manufactures and markets various ranges of bearings, rollers, linear guides, CV joints, coders, vehicle spare parts, maintenance products... and offers related services. We support the major players on a global scale and also provide distribution and aftermarket services. EcoVadis rewards NTN-SNR for its 2016 CSR! Rating of 67/100 and category ADVANCE: a great recognition of continuing progress. Benefit from our experience in the development and production of standard or bespoke linear axis, designed for maximum performance. NTN-SNR is one of the pioneers in the field of linear axis. For more than 3 decades we have developed and manufactured these products for a very wide customer base in almost all sectors and for many varied applications. We offer one of the widest selection in the market today, supplemented by effective engineering and all with a great cost benefit for the end user. What are the main advantages of NTN-SNR linear axis? flexibility: our intelligent modular system allows different ranges to be quickly and easily combined. security and reliability: we have extensive experience in several areas of mechanical engineering and full operational reviews. cost reduction: a modular principle and the breadth of the range offers a single supply source. Thanks to our intelligent modular system, we are able to offer a solution for practically all applications requiring the use of linear guidance. 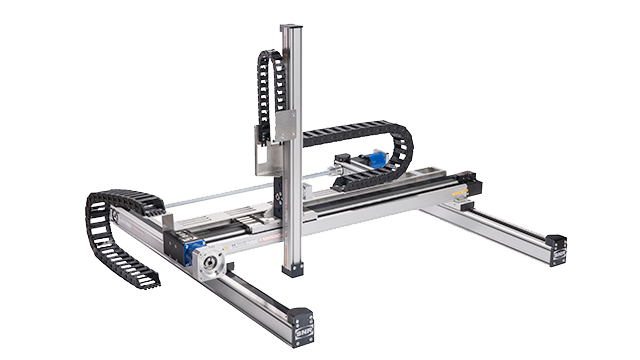 The range of NTN-SNR linear modules includes a wide choice of axis and systems. What are their characteristics? the displacement of masses, ranging from a few grams to a ton. Our Linear Axis are available in lengths of up to 10 metres, both as one-piece and in modular form. Meeting the needs of our customers is our biggest motivation. We develop customised and optimised solutions to meet or exceed your expectations. Linear axis are used in the field of general and specific mechanical engineering: machine tools, automated assembly and production lines, packaging machines, presses, the timber industry, the semiconductor industry, medical technology, etc. Take a look at our range of linear guides, ball screws, ball bushings and splined shafts. Each range of linear axis has distinctive characteristics. AXC standard modules offer the best track/total length ratio thanks to the drive unit integrated within the profile. The AXS ultra-rigid gantry system series achieves excellent accuracy and rigidity values. The AXBG series adds high positioning accuracy to these features.